The 76-year-old Oscar-winning actress – the sister of legendary lothario Warren Beatty – also had an open marriage with her ex-husband Steve Parker during their 30-year marriage but insists she was more interested in “love affairs” than “sexscapades”. She said: “I had many love affairs - and a lot of awful lovers. I wasn't into ‘sexscapades’ but I did try it once. I had three people in one day. “It was a political campaign where everyone was doing the same thing. So I didn't want to be left out. ‘Terms of Endearment’ actress Shirley had a number of relationships with fellow actors including Robert Mitchum and Yves Montand and also some directors but claims she was never interested in co-stars Jack Lemmon or Jack Nicholson. She told US TV talk show host Oprah Winfrey: " I wasn't attracted to Jack [Lemmon]. He was a sweetheart. He was like my Aunt Rose. He didn't have that dangerous, complicated, sexual dominating confusion that I liked helping the men I was attracted to, figure out." Speaking about Jack Nicholson, she added: "Too much for me! No, he's too much. I guess I liked the dangerous chemistry if it was controllable. His isn't! He is authentically dangerous." 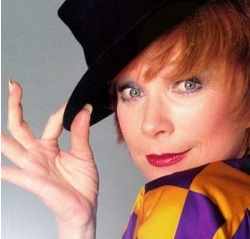 Shirley has one daughter, actress Sachi Parker, 54, with her former husband, who she split from in 1982.